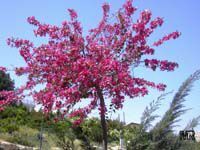 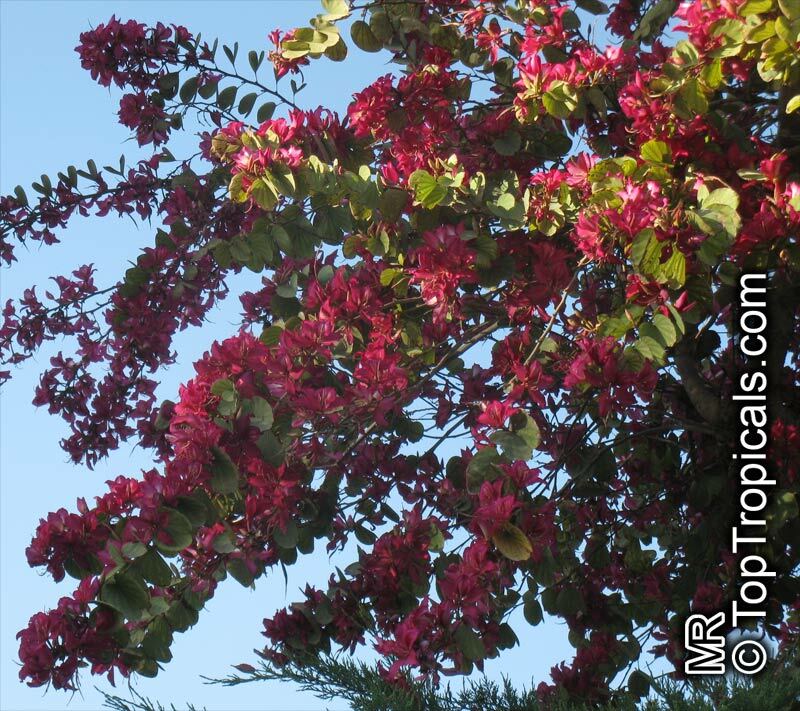 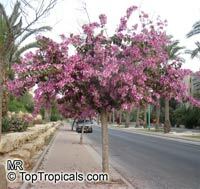 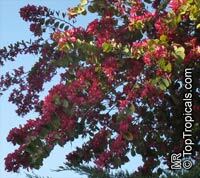 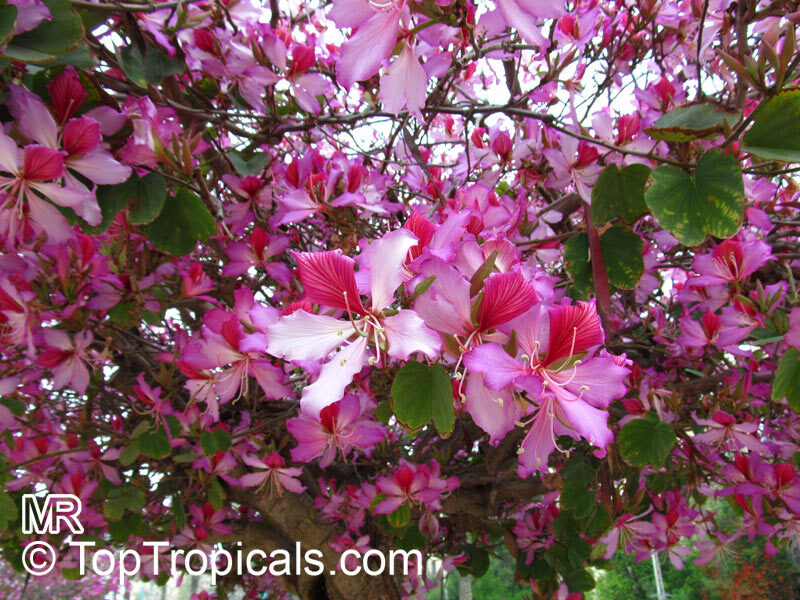 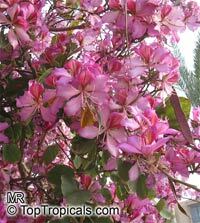 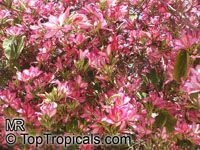 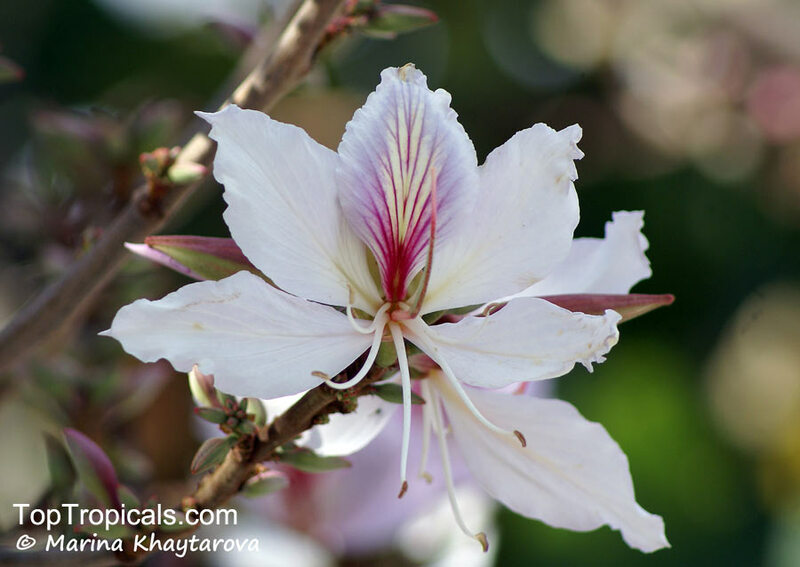 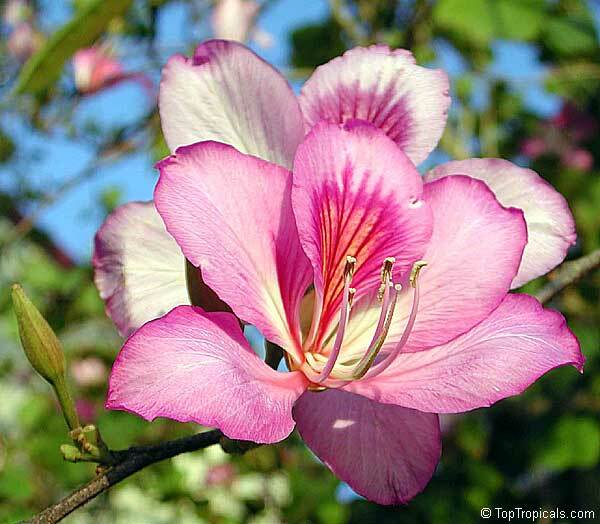 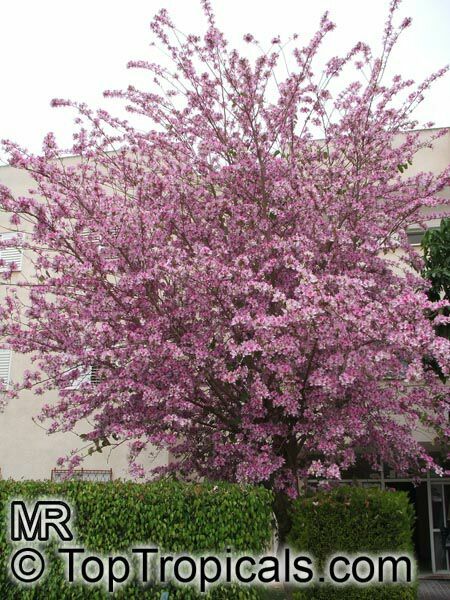 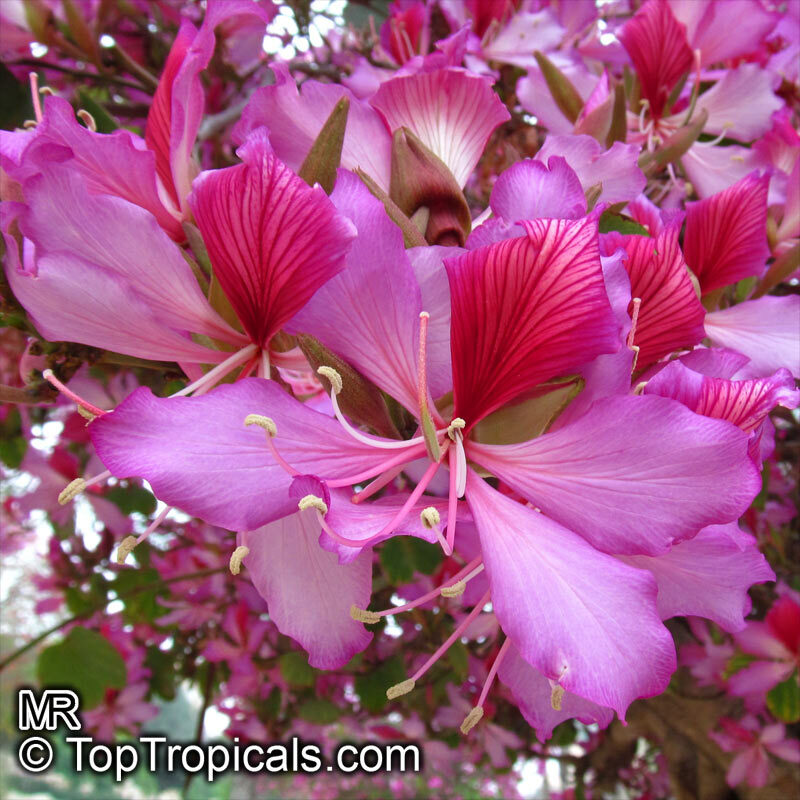 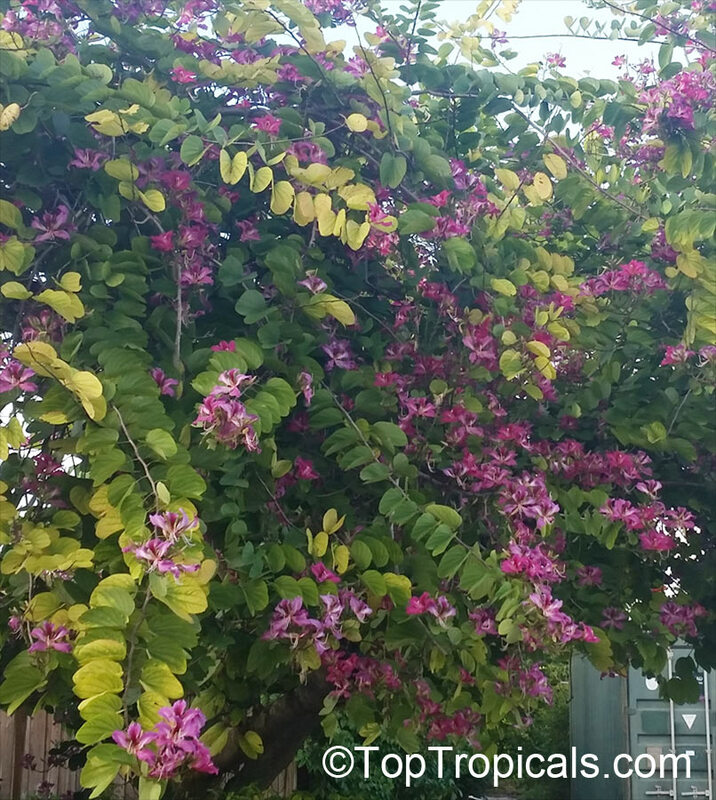 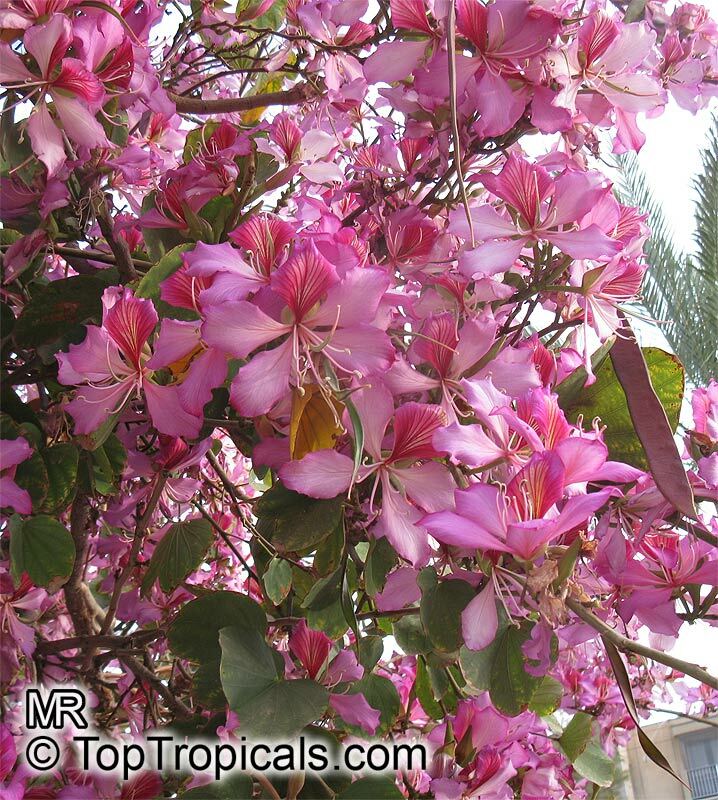 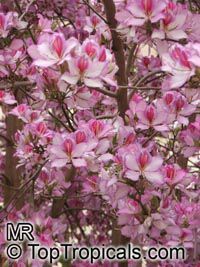 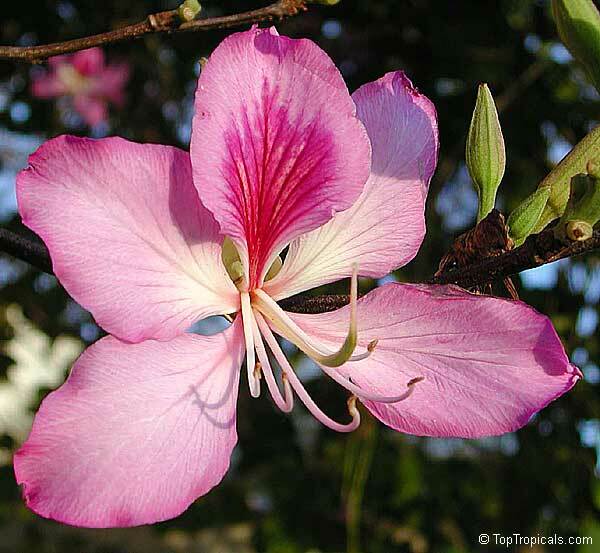 Orchid tree grows 20-40' tall and 10-20' wide with a spreading crown of briefly deciduous leaves which are 4-6" across and rounded with lobed ends and heart shaped bases. The leaves are shaped a little like a cow's hoof. 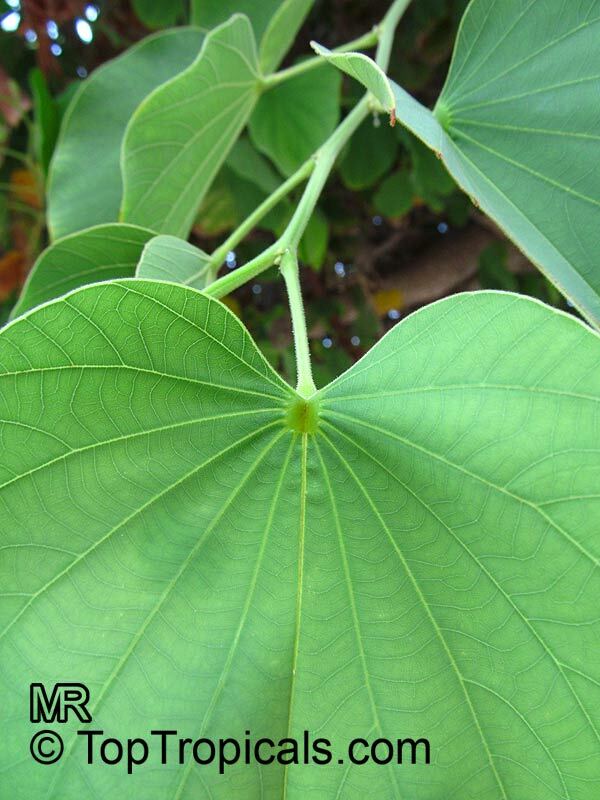 Some cultivars have leaves with white variegations. 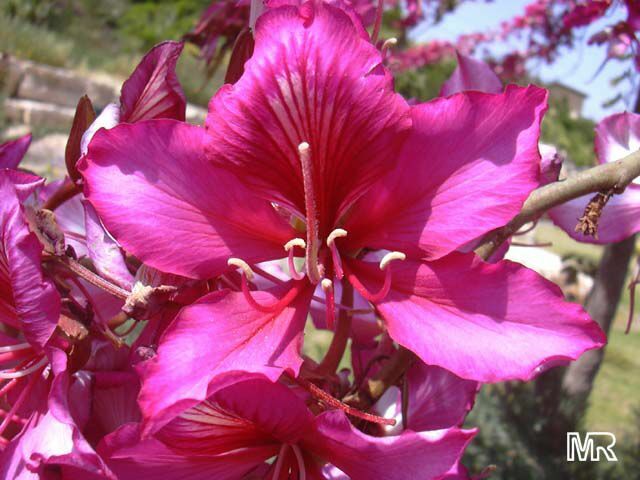 The flowers are reminiscent of showy orchids, with five irregular, usually slightly overlapping petals in shades of magenta, lavender or purplish blue. 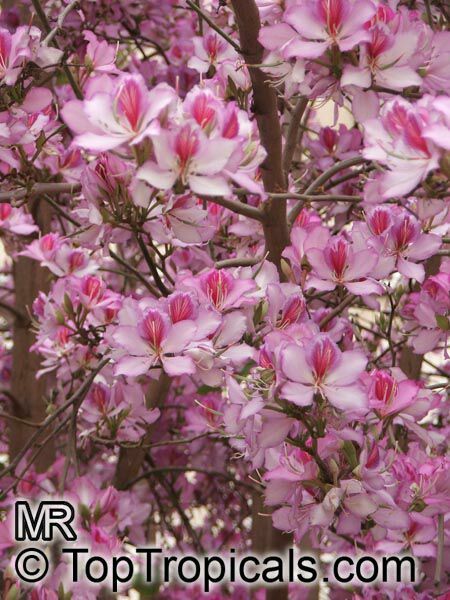 The flowers often make their first appearance in late winter while the tree is bare of leaves. 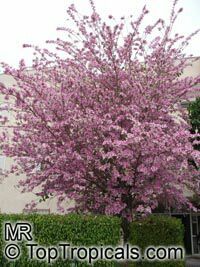 The blooming period then lasts until early summer. 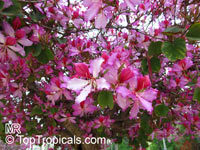 The flowers are 3-5" across and carried in clusters at the branch tips. 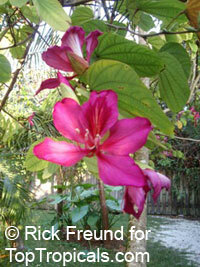 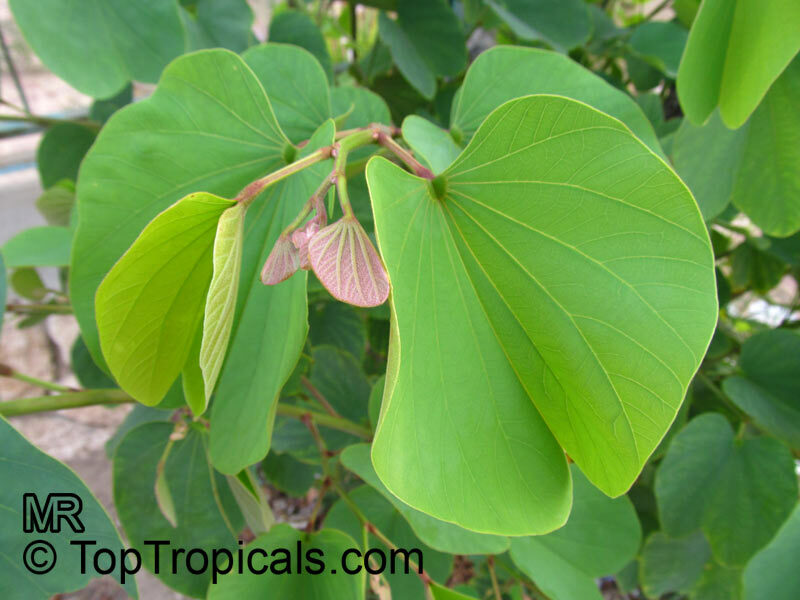 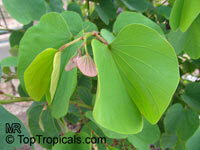 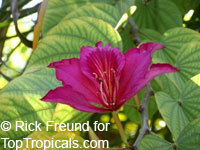 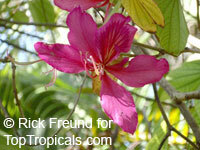 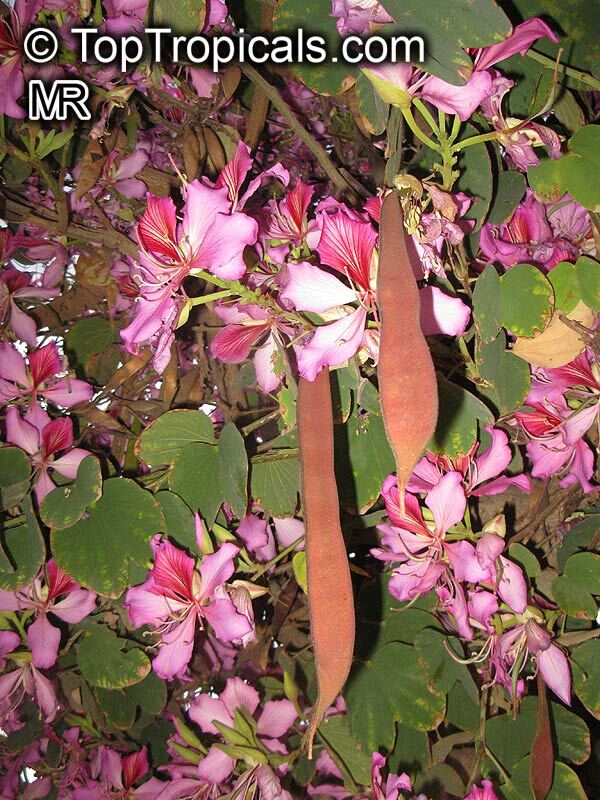 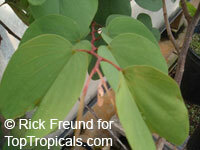 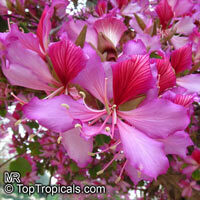 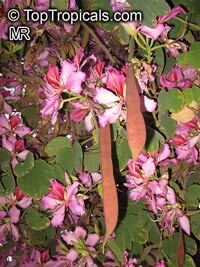 A member of the bean family, orchid tree produces flattened brown woody legumes (pods) up to 12" long. 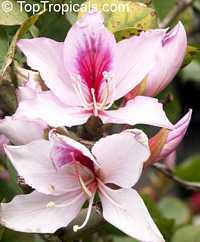 The cultivar 'Candida' has snow white flowers with greenish veins. The slightly fragrant flowers are reminiscent of showy orchids, with five irregular, usually slightly overlapping petals in shades of magenta, lavender or purplish blue. 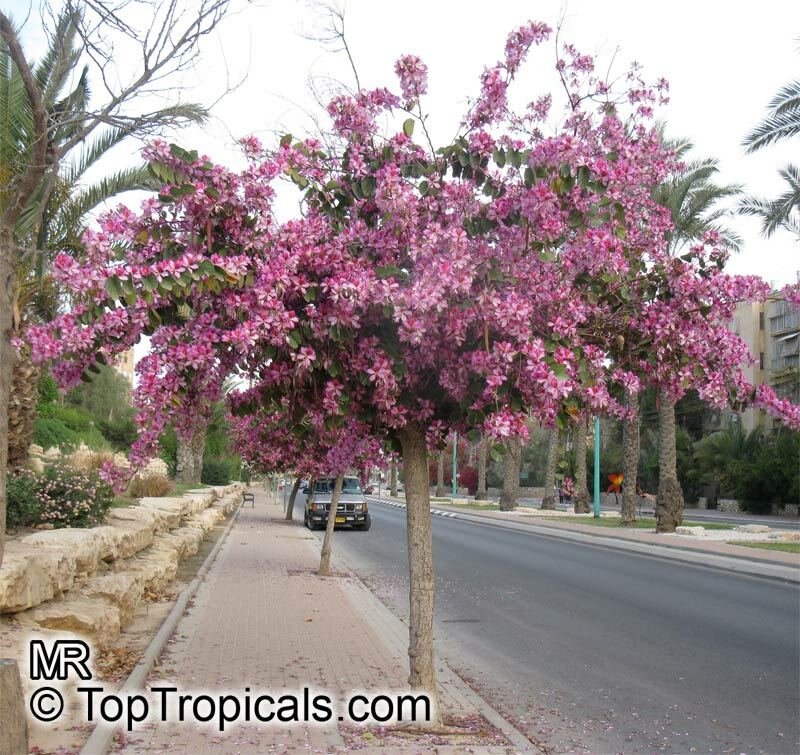 Great landscape shade tree.This item is certified for shipping to California.